Carbon mudguard-equipped road bikes: the next big thing? Riding on rain-drenched roads isn't many peoples idea of fun, but needs must if you want to keep cycling through the bad weather that is such a frequent occurrence in the UK. And now, with autumn settling in, is the time of year many might be considering a mudguard-equipped road bike. There's lot of choice if an affordable winter bike is what you're after. But carbon road bikes with mudguards? Now that's a rarer combination, yet one that, when you think about it, makes a lot of sense. 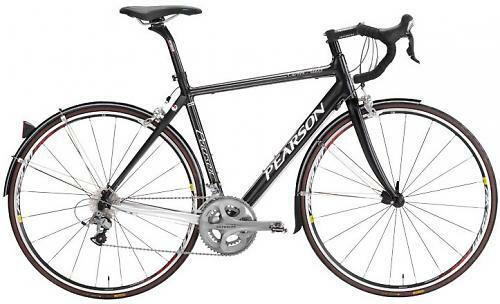 The most common mudguard-equipped road bikes are made from steel or aluminium and are specced with affordable components to keep the price down, as they're commonly second or third bikes. A carbon fibre road bike with provision for permanent full-length mudguards is another thing entirely though. Yet this trend (if we can call it that) is starting to emerge. A handful of British brands have realised that there are people who might want to ride a bike with mudguards year-round, and not just during the winter, and don't want to compromise on their choice of frame material just because they want mudguards. After all, it's not like we get months of unbroken sunshine round here. There's a lot to be said for a carbon mudguard-equipped road bike. Traditionally one might ride a carbon road bike through the summer, and come winter store it away and press a steel bike with 'guards into service until it's dry and warm enough to bring the best bike out of hibernation. That's all very good and everything, but what if you don't want to compromise and want to ride your 'best' bike all the time? And still want the convenience of mudguards? How about if you could buy one bike that you could ride year-round. 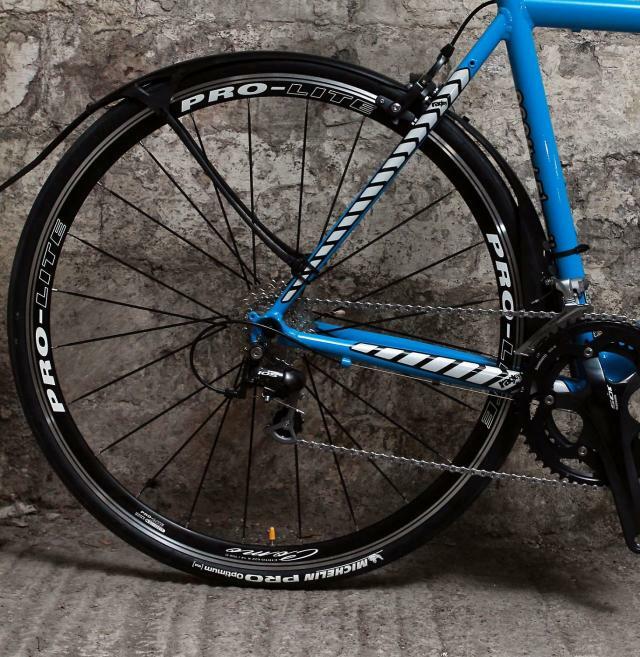 Mudguards fitted for the winter months and come the summer season of sportives whip them off and the bike is good enough to hold its own against carbon road bikes that don't offer mudguard versatility? Is it possible to have your cake and eat it? Not everyone has the money or space to have several bikes or even a summer best bike and a winter training bike. These carbon mudguard-equipped bikes neatly sidestep that dilemma with a all the benefits of a carbon frame and fork and the weather protection of a mudguard-equipped bike. Such a bike is a fast performance steed designed to cope with British weather and its infinite unpredictably from January to December.. Optimised from the outset to take full-length fitted mudguards and bigger tyre, with little weight compromise. Not a bike for winter riding then, but year-round. A truly versatile ready-for-everything bike. The downside is there isn't a lot of choice. That’s starting to change however and a mini trend is happening behind all the fuss about disc-equipped road bikes that a few people in the know are getting excited about. Us included. It's no surprise that most of the brands offering carbon bikes with mudguards are British. 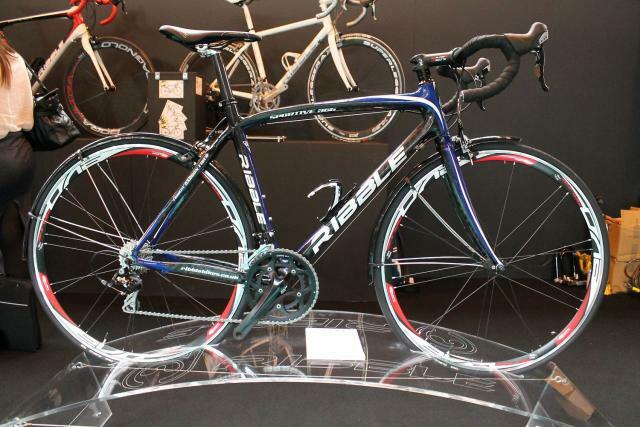 Ribble, Tifosi, Pearson, Hewitt and Dolan each offer really nice looking carbon bikes. 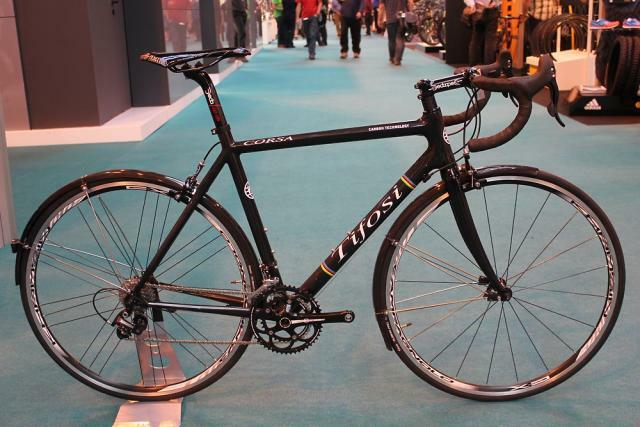 Tifosi is distributor Chicken Cycles own brand, which they started some 12 years ago. Synonymous with good looks and great performance, the Corsa is a full Toray uni-directional carbon frameset with a carbon fork and the convenience of removable mudguard mounts. There's little compromise to it is performance with the geometry deliberately kept racy. There's capacity for 25mm tyres with the mudguards in place. 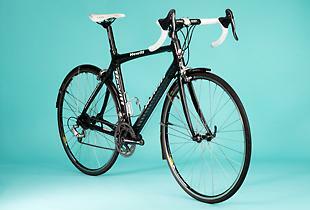 A frameset costs £1,139.99 and is available in five sizes from XS to XL, and choose from black or white. Ribble's Sportive 365 is based on the Bianco carbon fibre sportive bike but designed for all year round use with the addition of mudguards. Ribble have a great reputation for well priced bikes and their bike builder makes it easy to spec a bike . Or you can buy the frame on its own for £399.95. Based in Lancashire, Hewitt Cycles offer their Carbon Audax. A monocoque carbon frame allows 28mm tyres and mudguards to be fitted.. Available in six sizes. 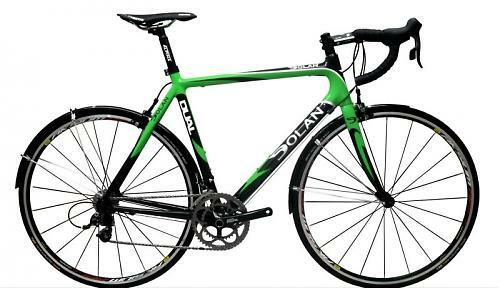 Dolan's Dual has been around for a couple of years, I tested one when they first came out back in 2009 and was immediately impressed. A well designed Toray uni-directional carbon frame that wouldn't look out of place in the peloton but there's enough space between the frame and fork to take a set of full-length 'proper' mudguards. They'll build with with Shimano Dura-Ace if your wallet stretches that generously, but starting with Sora builds means there's a bike for most budgets. The Carbon Audax from Surrey-based Pearson Cycles follows similar lines to the other bikes here with a uni-directional carbon monocoque frame with a full complement of mudguard eyelets. The fork marries carbon legs to an alloy steerer. Pearson offer one build option consisting of a full Shimano Ultegra groupset and Mavic Aksium wheels for £2,499, and offer four frame sizes. Or you can buy the frame and fork on their own fro £1,299.99. While these bikes come pre-fitted with mudguards, it's worth noting that it's very easy to remove them. So come the summer (and fingers crossed it's a dry one) you can whip them off and you're left with a very regular looking carbon road bike. What's not to like about that? Another upshot of these bikes is that with the modifications required to allow fitting of mudguards is that they'll usually take fatter tyres. Get yourself a set of lightweight 25 or 28mm tyres and enjoy the extra comfort the bigger air chamber offers. If you're already the owner of a bike with mudguard clearance then mudguards like the classic SKS P35 Chromoplastic are the go-to choice (but others are available). Called 'full-length' on account of the fact they wrap as much as each wheel as is feasible and with their deep sides, they provide the best protection from road spray. They're usually made from lightweight aluminium so they're robust and durable, and held in place with lightweight aluminium struts means they're very solidly fitted to the bike. If you don't have proper mudguard clearance, or eyelets, then there are other options. 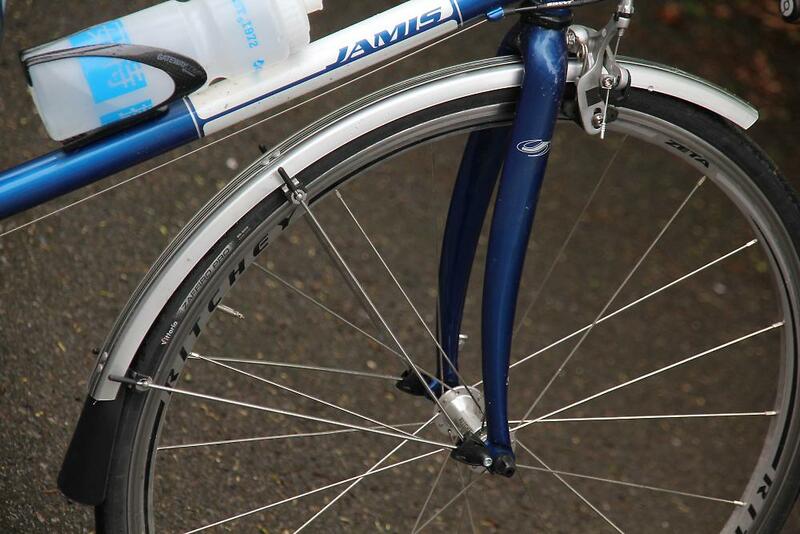 A regular carbon road bike could be easily retrofitted with Crud's excellent Roadracer Mk2 mudguards. Using nothing more complex than rubber bands and cable ties, the 'guards easily clip to the frame and provide a decent barrier to the spray churned up by the wheels. They're light too, weighing just 205g for the set and at under £30 they're cheap too.